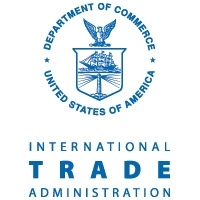 The International Trade Administration (ITA) is charged with strengthening the competitiveness of U.S. industry, promoting trade and investment, and ensuring fair trade and compliance with trade laws and agreements. Industry and Analysis. ITA advances the international competitiveness of U.S. industries by leveraging expertise and relationships with U.S. industry in the development and execution of innovative international trade and investment policies and strategies. Enforcement and Compliance. ITA promotes the effective administration of U.S. antidumping (AD) / countervailing (CVD) trade law remedies; addresses and curtails tradedistorting practices; promotes adoption of disciplines and practices by U.S. trading partners that enhance transparency and impartiality in foreign trade practices; and administers the Foreign Trade Zone (FTZ) program and other import programs that support U.S. jobs. It also represents and advocates on behalf of U.S. industry interests with regard to the exercise and enforcement of U.S. rights under bilateral and multilateral trade agreements. Global Markets. ITA advances U.S. commercial interests by engaging with U.S. businesses that export to foreign countries; expands U.S. exports by developing and implementing policies and programs to increase U.S. access to and presence in foreign markets; provides market contacts, knowledge, opportunities, and customized solutions to U.S. firms and expands foreign investment into the United States by promoting the United States as the investment destination. 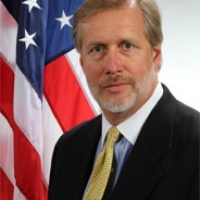 U.S. Census Bureau and Bureau of Economic Analysis staff offering data assistance at the U.S. Government Pavilion at the 2015 SelectUSA Investment Summit. The 2016 World Trade Week Awards Breakfast, Under Secretary for International Trade Stefan Selig with Bob Frank of Bob Frank Entertainment and Trade Specialist Peter Sexton. Under Secretary Selig meets with the Council of the Americas in Mexico to discuss US-Mexico commercial partnership and the Trans-Pacific Partnership. Under Secretary Stefan Selig (second from left) participates in a ribbon cutting ceremony with North Carolina Governor Pat McCrory (left) PEDS Legwear President and CEO Michael Penner and Walmart Vice President of U.S. Manufacturing Cindi Marsiglio. The ITA team holding their Gold Medal Award aside Deputy Secretary Andrews. Icelantic Skis was one of 65 companies and organizations recognized by Commerce Secretary Penny Pritzker with a President's E Award for supporting U.S. exports. This federal advisory committee will advise the Secretary on the development of strategies and programs that would help expand access to trade finance for U.S. exporters.